Winning combinations have to appear from left to right in an active payline. The payouts given below are in coins for five like symbols without the help of the wild symbol. 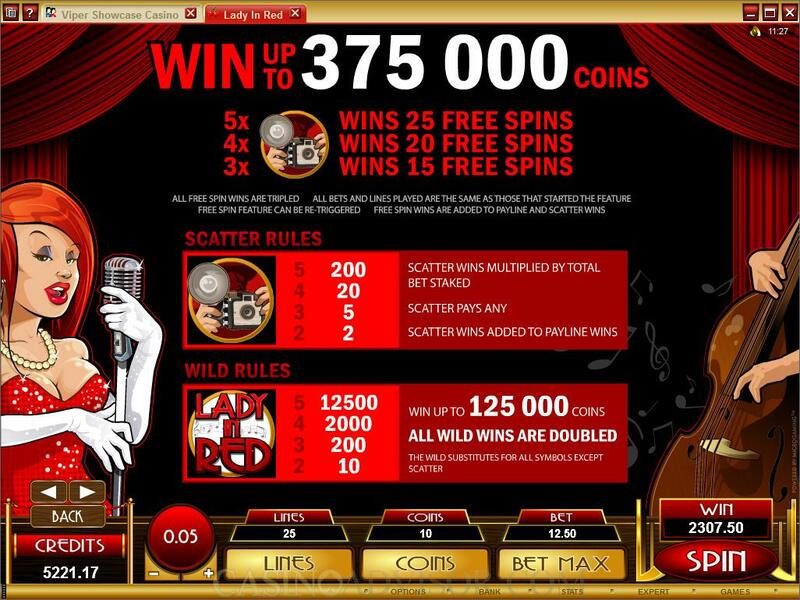 If a wild symbol is used then the payout is doubled, except in the case of Lady in Red Logo, which is the wild symbol. 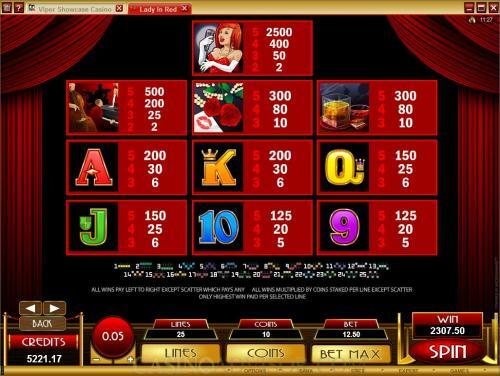 The payouts are multiplied by line bets to convert to credits.